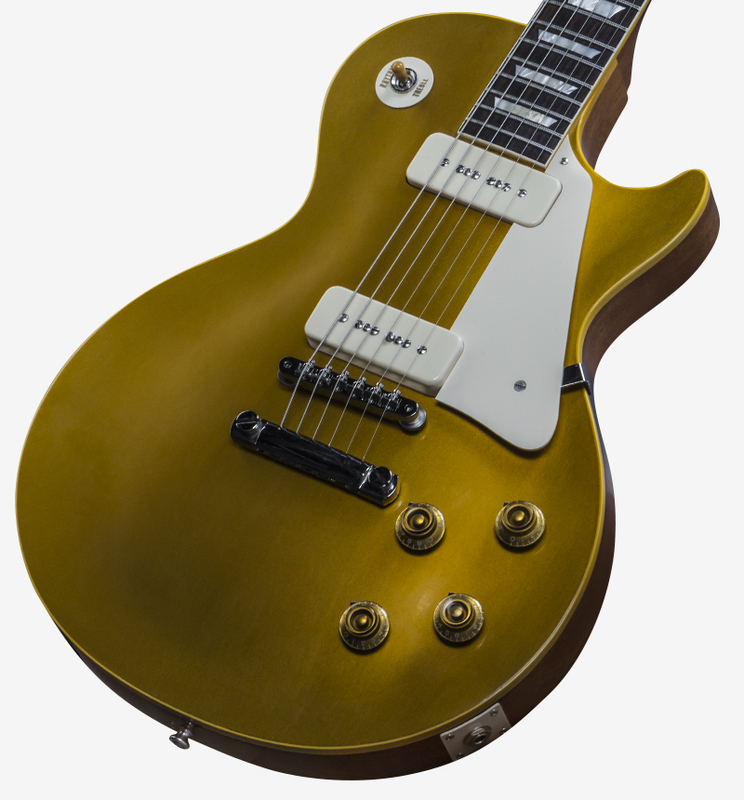 New 2015 True Historic Series uses molecular-level analysis for unprecedented vintage accuracy, with hot hide glue construction, correct carving techniques, and stunningly authentic appointments. 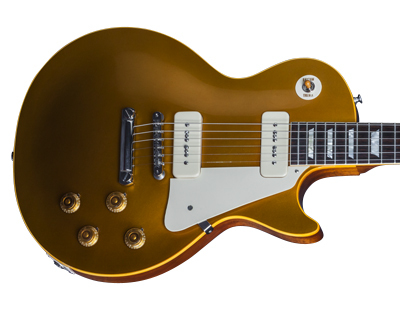 True Historic Plastics Based on lab analysis of original Gibson plastics from the 1950's, the plastics on the True Historics including the Toggle Washer, Cream Jackplate, Cream Pickguard, and Toggleswitch Cap, have been reformulated and re-engineered to the original specifications of their vintage counterparts. 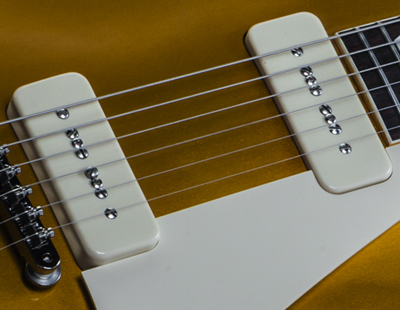 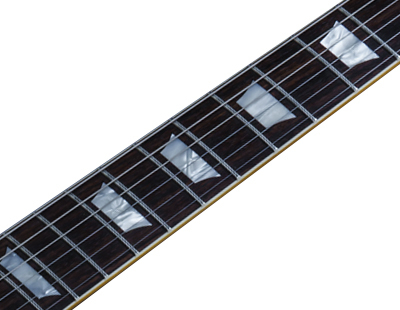 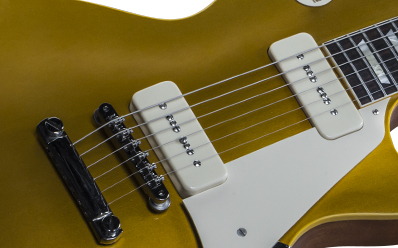 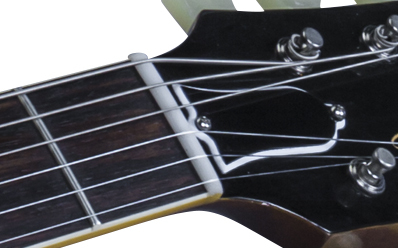 Rolled Fingerboard Binding One of the most magical aspects of an original 50's Les Paul is its smooth, natural feel. 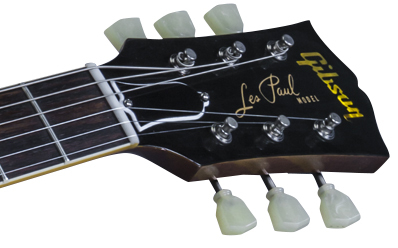 We hand-file the fingerboard binding on every True Historic Les Paul to capture that feel precisely. 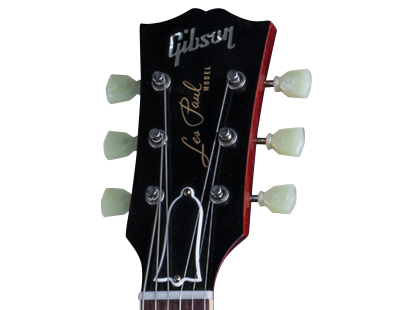 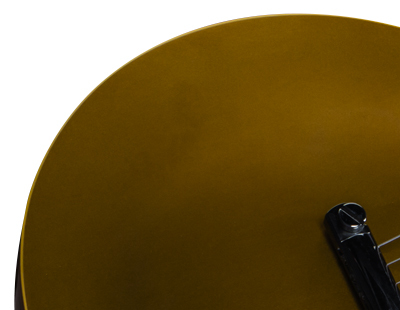 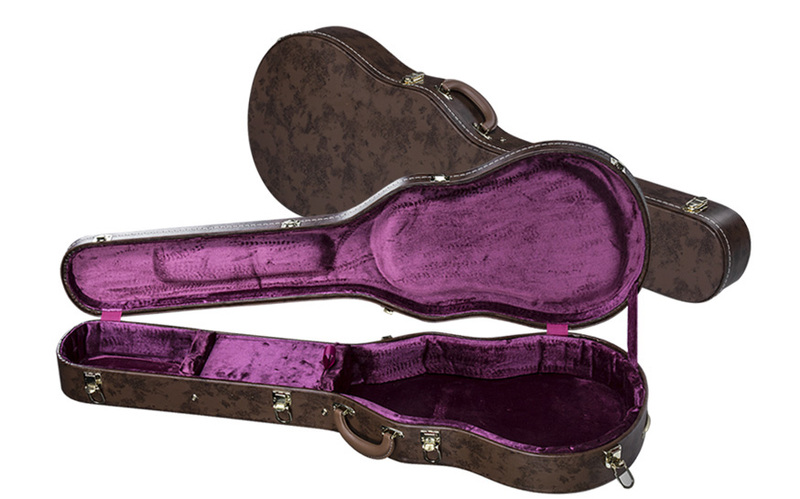 Double-Carved Top To recapture the top carve profile of original Vintage Gibson Les Pauls, all True Historic Les Pauls are double carved by CNC, with the final shape of their dish carve achieved through a hand-sanding process. 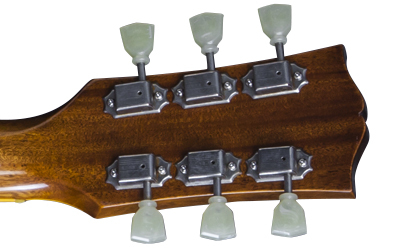 Double-Carved Neck The necks on all True Historic guitars are double-carved and then hand sanded to achieve that legendary vintage Gibson neck profile; the "beefy", solid feel of a beautifully hand-crafted Les Paul that rests in the player's hand like no other guitar. 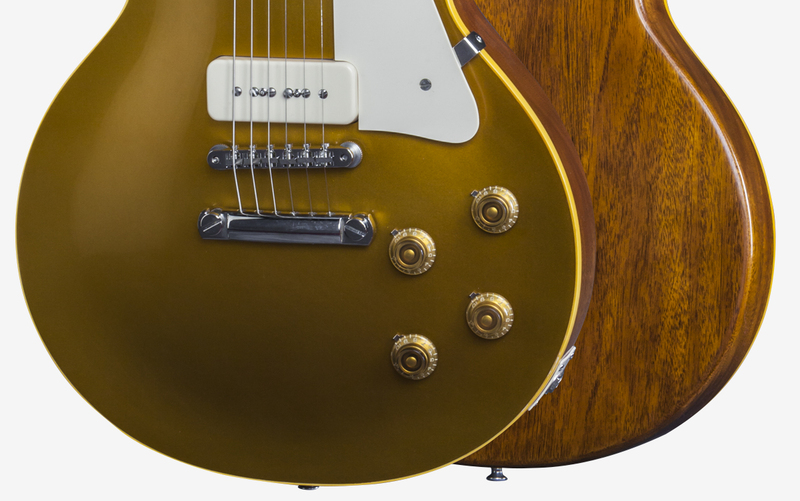 "Broken" Peghead Edges, Smoother Edges Hand-sanded peghead, neck and body edges beautifully capture the look and feel of a true vintage Les Paul. 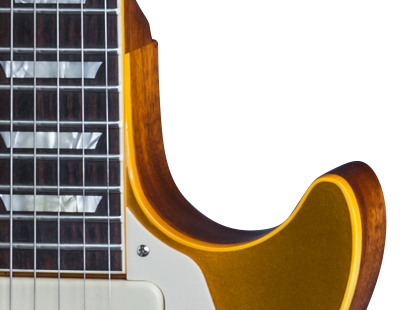 Thinner Peghead Veneer While you can't see it on a finished Les Paul, original 50's guitars from Gibson had a thinner peghead veneer. 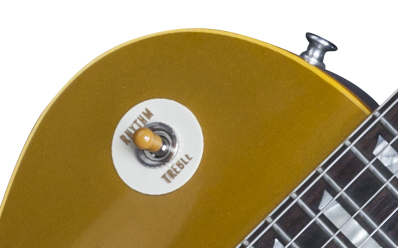 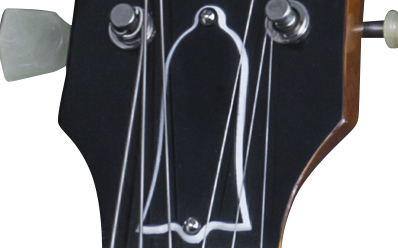 In 2015, all True Historic guitars feature this thoughtful detail in their mission to be as close to an original as possible. 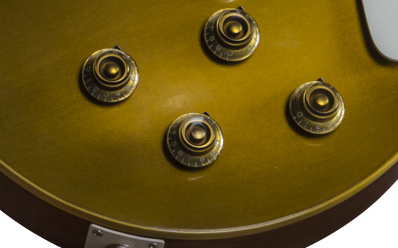 Thinner True Historic Wet-Sanded Finish All True Historic guitars from Gibson Custom are sprayed with thinner finishes, as were the original 1950's guitars, and are now had wet-sanded for beauty and authenticity. 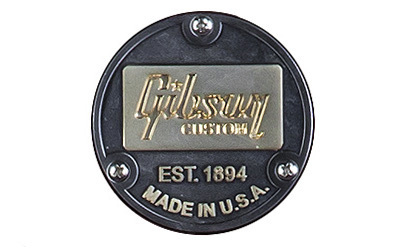 Hide Glue Top Construction Along with all hide glue neck construction, Gibson Custom extends the use of hide glue to join the back and top of every True Historic guitar, just as it was done in the 1950's. 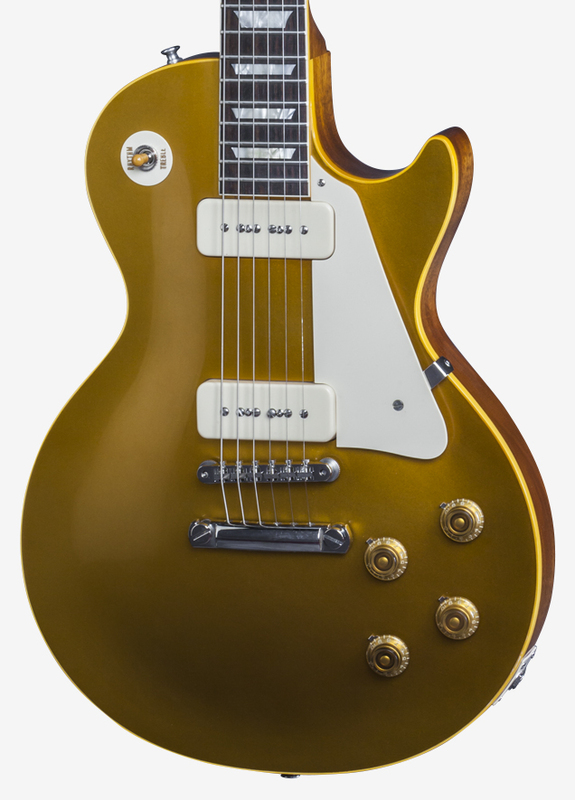 Since the inception of the Historic Range in 1993 Gibson Custom has constantly improved its achievements in matching our reissues to genuine vintage guitars. 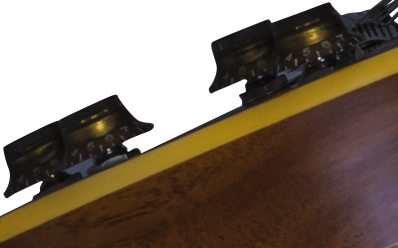 New for 2015, the True Historic range represents the culmination of all past experience and a further re-dedication to truly fanatic levels of accuracy. 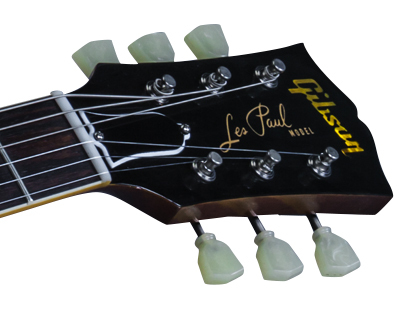 Extreme measures such as a double-carved and hand-sanded top and neck, hand wet-sanded finish, hand-filed rolled fingerboard binding, and plastics replicated from molecular-level analysis of original vintage parts headline only a few of the extensive and obsessive details found in each of the very limited number of True Historic 1956 Les Paul Goldtops offered. 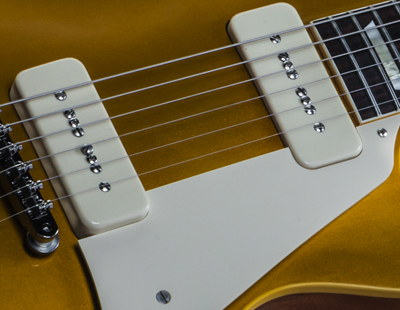 Add a pair of superbly authentic P-90 pickups, and you simply can't get closer to the real thing... than the real thing.